A wonderful group of picture books by two very talented authors. These are great for the youngest child up to kindergarten. Hopper was moving. Like many kids he was afraid he would not be able to make any new friends. Read to find out whether he was right or wrong. 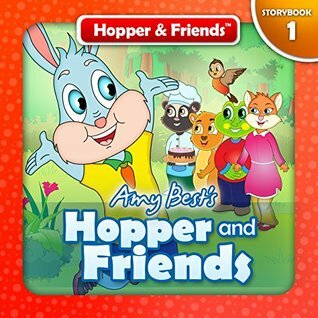 This is a wonderful book to read to a child who is getting read to move. It will show them there is nothing to fear. 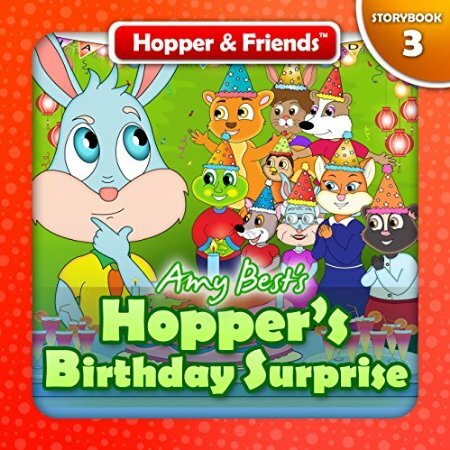 Hopper's friends want to surprise him on his birthday. 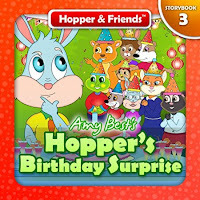 Hopper has seen many of them throughout the day and no one wished him a happy birthday. He believes they all forgot ad runs away. Will they be able to find him and give him his happy birthday? 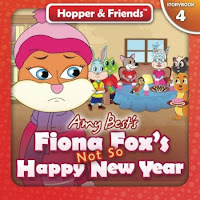 Fiona Fox is dreading the new year. She has set up a list of resolutions and this year she wants to follow all of them. 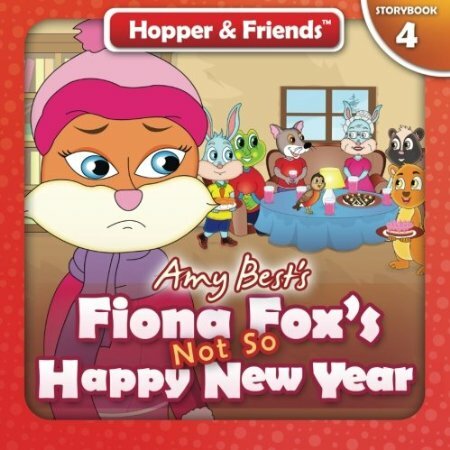 Her resolutions are so strict that the more she thinks about them the sadder she gets. They are very strict. Will she be able to do it? Geoff the giraffe and Monica the monkey find an egg while out walking. They take it home to help it hatch. 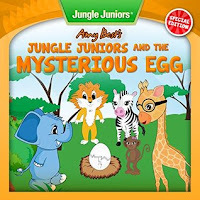 Read the book to find out how they work together to help this egg hatch and exactly what hatches. Hopper is happy a new amusement park is coming to his part of the forest. But, Hopper is hiding a secret. He has a fear of rollercoasters. Every time his friends invite him to go to the amusement park he comes up with an excuse. 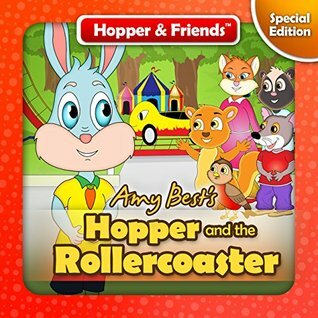 Then his friend Shannon Squirrel invites him to her birthday party. 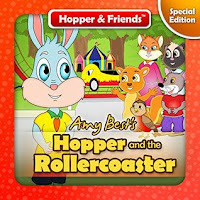 He accepts and then learns it is to be at the new amusement park. Will Hopper learn to conquer his fear? Will his friends learn his secret? Everyone has a special talent in this wonderful story. 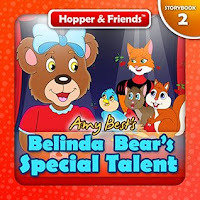 That is everyone except Belinda Bear. 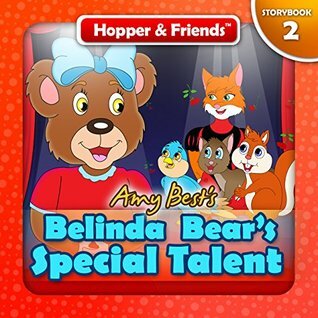 When an announcement is made that there will be a special talent show, everyone demonstrates their talent except belinda Bear. She has tried telling jokes, Singing, dancing and a circus act, but none of them seem to work for her. She is sad, but happy for her friends. To support them she begins to bake treats for them while they practice. What will happen the night of the talent show? 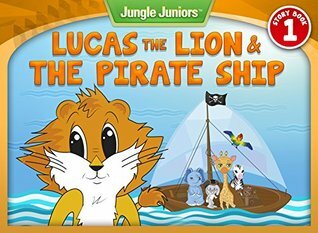 Lucas the Lion has always protectedhis friends from the hunters. He chases them to the river and stops. He never catches the because he's afraid of water. What do you think will happen when his friends get on a boat on the river? Monica Monkey visits Monkey Beach when his friend Geoff is gone. She has had trouble at Monkey beach in the past. 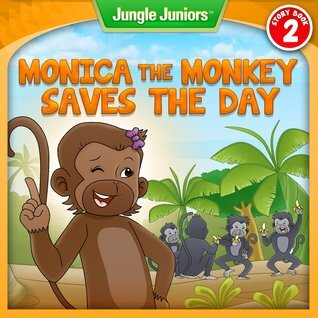 Monica doesn't seem to fit in with the other monkeys. They make fun of her because she is small and not their same color. She has to eat by herself. When they are caught and put in a cage by hunters it is Monica who must save them. Ryan and his family have always lived in the carrot patch behind a farmer's house. They have lots of friends. One day his parents tell him and his sisters that they will be moving half way around the world to Africa. They are not sure they will be able to make friends. They don't know what to expect. 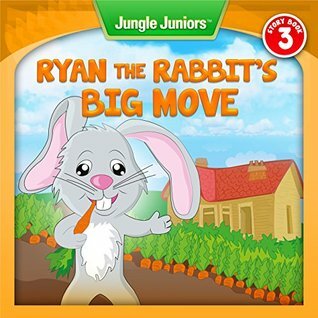 Imagine Ryan and his sister's surprise while exploring the jungle around their house when they meet a lion. They soon learn that he is friendly and introduce him to carrots. What will happen next?